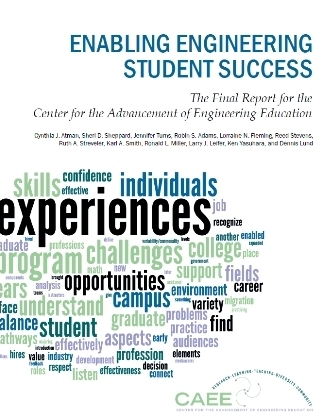 Research in engineering learning and teaching to support the education of a diverse community of engineers better able to meet the challenges of tomorrow in a world that continues to move faster and face more significant decisions than ever before. CAEE’s research activities formally ended in 2010 but many of the members of the team are continuing their work of advancing engineering education through ongoing dissemination of CAEE results, participation in grant-funded studies that build on the CAEE work, and involvement in additional research projects. The CAEE website is hosted by the Center for Engineering Learning & Teaching (CELT) at the University of Washington. Last updated July 28, 2011.